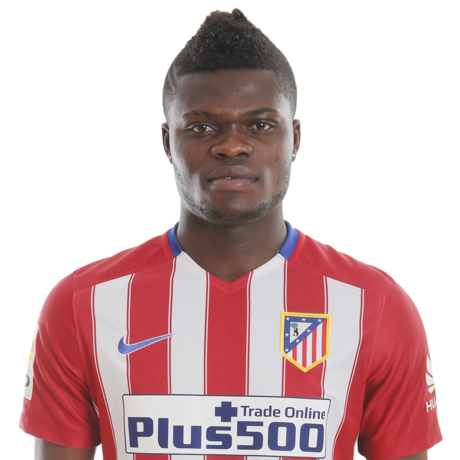 Thomas Teye Partey, Black Stars midfielder, has made the initial 34-man shortlisted for the 2018 African Player of the Year award. The Atletico Madrid midfielder, is the only Ghanaian player to be named in the men’s shortlist announced by the Confederation of African Football (CAF), on Friday. Egyptian and Liverpool forward, Mohammed Salah who currently holds the accolade, has also been shortlisted, with his teammates Sadio Mane also included in the list. Kalidou Koulibaly, Riyad Mahrez, Pierre-Emerick Aubameyang,Naby Keita, among others are included in the list. Black Queens duo, Elizabeth Addo and Portia Boakye have also made the shortlist of the women’s player of the year. Ghana’s under-17 women’s marksman, Abdulai Mukuarama, has also made the 15-man shortlist for the women’s footballer of the year, after her stellar performance at this year’s Women’s U-17 FIFA World Cup being staged in Uruguay. The winner for the African Player of the year award and Women’s player of the year would be decided by the CAF technical and development committee, media experts, coaches and captains of the 54 member association.